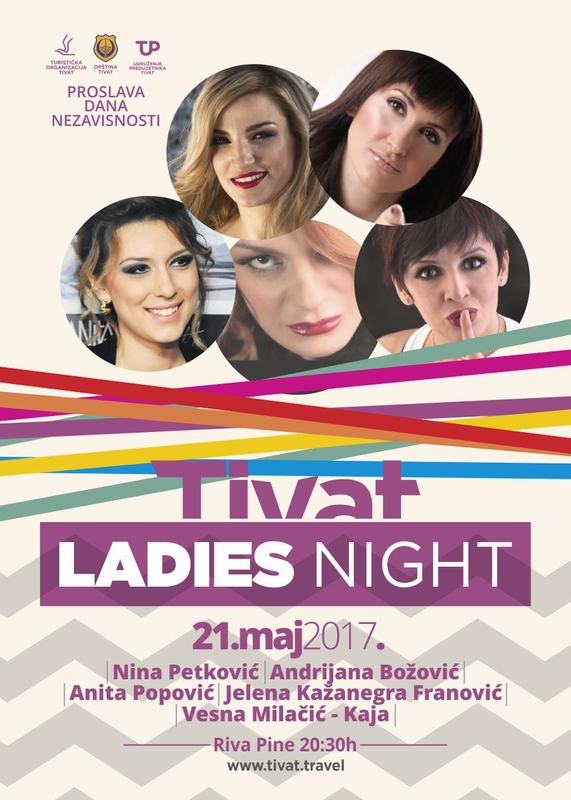 On the occasion of the Independence Day, the Tourism Organization of the Municipality of Tivat together with the Municipality of Tivat and the Association of Entrepreneurs are organising 'Ladies Night' on the Riva Pine. Five Montenegrin artists Nina Petković, Andrijana Božović, Anita Popović, Jelena Kažanegra Franović and Vesna Milačić-Kaja will entertain the audience in Tivat on May 21st from 8:30 pm to 00:00 am. The concert will be dedicated to the celebration of the 11th anniversary of Montenegrin independence. If you happen to be in Tivat, this is a place to be. Celebrate with Montenegrin citizens, on Tivat streets to experience the unique Mediterranean lifestyle, full of happiness and joy!